Have you ever gotten lightheaded halfway through scrubbing with a commercial cleaner and wonder what's really in that bottle? There are many harmful chemical products on the market designed to help homeowners make chores easier. Families with members who are sensitive to chemicals or people looking to find greener alternatives to these cleaners will be happy to know that they can achieve the same clean results using eco-friendly products that are effective and leave a pleasant smell. When it comes to delivering a big eco-friendly bang for your buck, these 10 cleaners are most effective. Baking Soda: The minerals in this slightly alkaline powder helps to dissolve proteins and neutralize acids to increase the cleaning power of detergents by balancing the pH level of the water. Pour some baking soda down a drain and add an equal amount of vinegar to create a foaming reaction within the drain and pipes which cleans and deodorizes the drain. This results in quite a show which the kids really enjoy seeing. Bicarbonate Soda: Better known as baking soda, you can mix this miracle cleanser with water to form a paste to clean silver, surface rust, laundry, and coffee stained cups. At some point during your house cleaning process, it will be necessary to brush your teeth, which you also can do with this miracle cleaning agent. Club Soda: Use this versatile liquid cleaner primarily for laundry. It is effective in removing stains from organic materials such as blood, coffee, wine, chocolate, and other food components. Use this safe alternative to bleach to eliminate mold, mildew, and stains. It kills bacteria, including dangerous strains such as salmonella. Use this liquid cleaner for any job that requires a bleaching and antiseptic cleaning without harsh chemicals. Use this common household item to clean, disinfect, and deodorize many areas of your home. Add sodium chloride (salt) to other green cleaning agents such as lemons to remove rust. As a paste, it helps to remove burnt on materials on pans or in the stove. Use it as a paste of flour, vinegar, and salt to clean and shine steel, gold, pewter, and silver. Keep sponges germ-free and odorless by soaking them in a salt water solution when not in use. Vinegar is an excellent all-purpose cleaner with the incredible ability to cut through grease. Mix vinegar with equal parts of water in a spray bottle for glass, mirrors, and windows. Use this solution on wood floors and plastic waste containers to disinfect and deodorize. You can also apply it to the shower head and other faucets in your bathroom to help you remove that stubborn mold. Vinegar is gentle for the home, yet it is strong enough to eliminate scale, mildew, wax build-up, and stagnant odors. This cleaner disinfects, deodorizes, softens water, and removes stains. Although this cleaner is a natural substance, you should keep it well out of the reach of children. Ingestion of this powder is toxic when swallowed, which makes it a good crawling insect repellent. Soap is necessary to break down the grease and dirt associated with cleaning dirt. Choose a natural soap of whole oils/fats added with alkali. Use this versatile cleaning agent on nearly every surface in any room of your home. This cleaner comes in a variety of forms such as powder, liquid, flakes, and solid bars. Many of these essential oils have deodorizing, disinfecting, and natural cleaning properties. Mixed with eco-friendly cleaners, these oils give the home a pleasant aroma and a clean appearance. Use of eucalyptus oil sparingly as it is dangerous to children and pets. This bright yellow wonder can be used as a deodorizer, cleaner, and polisher. Use lemons in cleaners to give a fresh scent. 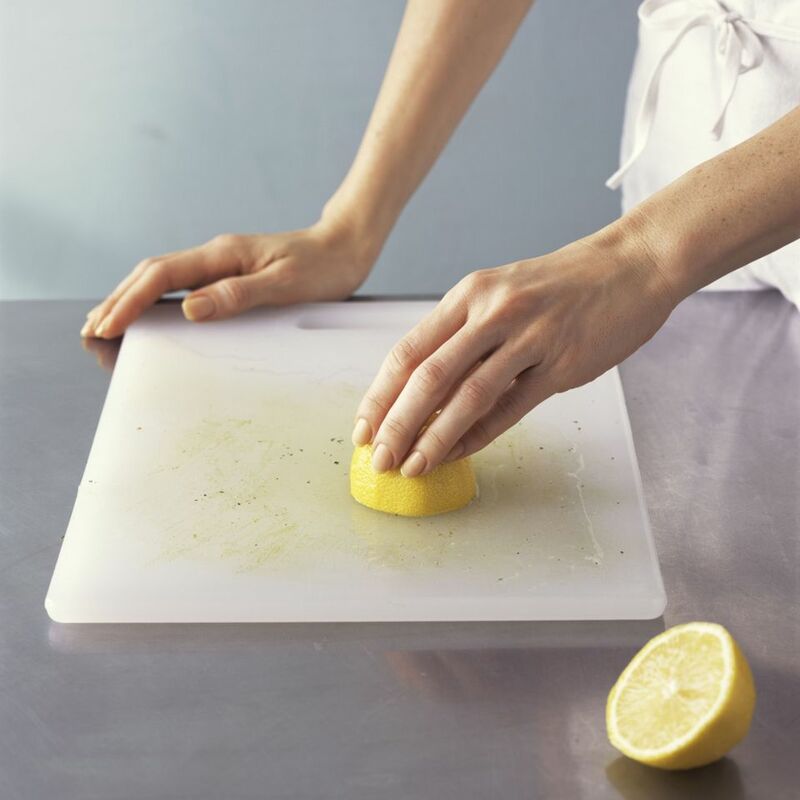 The acid in lemons helps to cut through grease while killing germs and leaving your house smelling citrus fresh. This tasty oil extract is great for use in many areas of the home. Use it as a spray for polishing stainless steel and wood. It will take the cracks and dryness out of leather. Remove gummy substances such as stickers or chewing gum. Add essential oil or lemon to the spray for added aroma. Use this alcohol to aid with laundry to eliminate odors. Spray on windows and glass surfaces for a streak-free shine. Polish chrome and clean porcelain with a dab on a soft cloth. Fill up a glass and add an olive. Use this to clean the cobwebs from your mind and get you motivated after realizing that you have all of this cleaning to do! Cleaning your home does not have to involve the use of protective gloves and glasses because of the harmful chemicals and toxic fumes. Green and eco-friendly ingredients such as vinegar, salt, lemons, baking soda, and distilled water can be utilized as effective and pleasant smelling cleaners, disinfectants, and deodorizers. For only pennies, you can create a green clean home that is safe for sensitive family and pets to enjoy. You can inexpensively enjoy the clean life thanks to these ten eco-friendly cleaners.